I don’t remember the first day I entered into an institution, but I do know that it was before I was born. I was held captive in my mother’s womb, herself held captive, a prisoner of ‘norms’ about the difference between good mothers and Māori mothers. I have been institutionalised ever since, as a way to educate me about what I need to do to be a good Māori. dead. Baudrillard said that our bleak world of pastiche realities isn’t even real anymore, but instead it’s a simulacrum of a truth so distant that everything’s a lie. Well the truth is, the institution’s a lie. assertive about remembering beyond the lies. Aimee Ratana remembers the resistance asserted by her tūpuna. Through her making, Aimee disrupts the lie that wahine Māori have been passive recipients of patronising domestic knowledge. Aimee asserts ways that an intimate connection with materials helps our bodies to remember truths about our inner workings. Aimee re-images reality, but instead of Baudrillard’s empty simulacrum, she recreates pathways to our eternal selves – our most empowered and activist Hinenuitepo self who protects, nurtures and guides the continuance of whakapapa Māori. Margaret Aull remembers too, she remembers beyond the lie that before colonisation Māori could never journey the distance of oceans traversed by her tūpuna, the meetings of their memories her embodiment. In her assemblages and paintings, Margaret practices the mapping of terrains, opening portals between the profound and lost, helping Māori towards rangatiratanga. Margaret is a navigator, her artworks guiding us back to our Hinetitama wonderment, where between the sacred and mundane we remember how enlivening it is to experience the freshness of the world, free of rebar and rust. Trust in being is the remembrance offered by Zena Elliott, her paintings remind us that we have the power to find ourselves in the seemingly confused world we occupy as Māori today. Zena’s paintings signal the convergence of past and future within our bodies and our dynamic ability to form, shape and beautify any space we choose for life. Zena’s artworks ask us to remember that within our urban landscapes we can escape the gridlock constraints — our beating Hineahuone hearts alive in colour, twinkling light and rhythmic movement. Ārai speaks of obstructions, hinderances, barricades, blockages, barriers and insulating influences. The artists exhibiting work in this show argue that this is the context for mainstream arts education in Aotearoa. Through their works they describe the sense of frustration loss and fragmentation they have experienced as Māori art students, where they often fought faculty to express Māori forms and knowledge. The denial of a person’s identity within creative studies must surely have a detrimental impact, but for all three artists the assertion of Māoritanga uplifted them during their haerenga as tauira at Wintec. The wero for mainstream education in Aotearoa today is to adopt new foundations. The outcome of such an education can only be generations of people living in our country, with strong and grounded identities. Aull, Elliott and Ratana argue for an arts education in Aotearoa that grows first from Māori knowing, where Māori forms, practices and knowledge are valued, respected and assist in evolving practices of Aotearoa life realness. Without the solidity of truly knowing and relating to place, a violating colonial intent continues for all arts students in Aotearoa. Taina Pohatu² speaks of mātauranga, knowledge continuum from a Māori perspective, where rather than the emptiness of simulacra expressed by Baudrillard, a boundless future is supported by an expansive network of understandings. Mātauranga takes for granted the repeated generational patterns embodied in each person, allowing for firmly rooted individual and diverse expression. 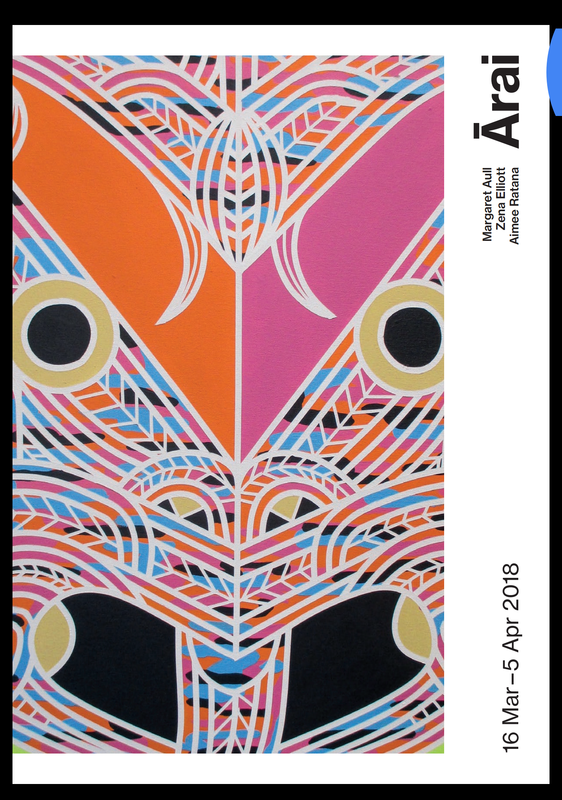 Rather than an Aotearoa arts education that inhibits, controls and regulates, the artwork in this show encourages us to cultivate a world of creative fullness and depth. 1. Baudrillard, J. (1968). The system of objects. In M. Poster (Ed.).(1988). Jean Baudrillard: Selected writings, (pp.10-28). Redwood City: Stanford University Press. Poutama: The journey of a man on his ascent into the heavens. IAmPozGuy: In this world full of people there's one killing me. Loud thoughts and quiet ones. The musings of a HIV survivor, medical professional, activist and advocate. My writing. My vulnerability. My heart. My soul. My magic power. By Brittany Hobcraft. "Open Your Mind, So You Wont Go Blind"
Musings on theology, life, & culture. Transforming through the recovery of the cultural self.